Artist Bob Giordano has beautifully captured the playful nature of kittens and puppies in this Holdson 300pc puzzle series, Adorables. 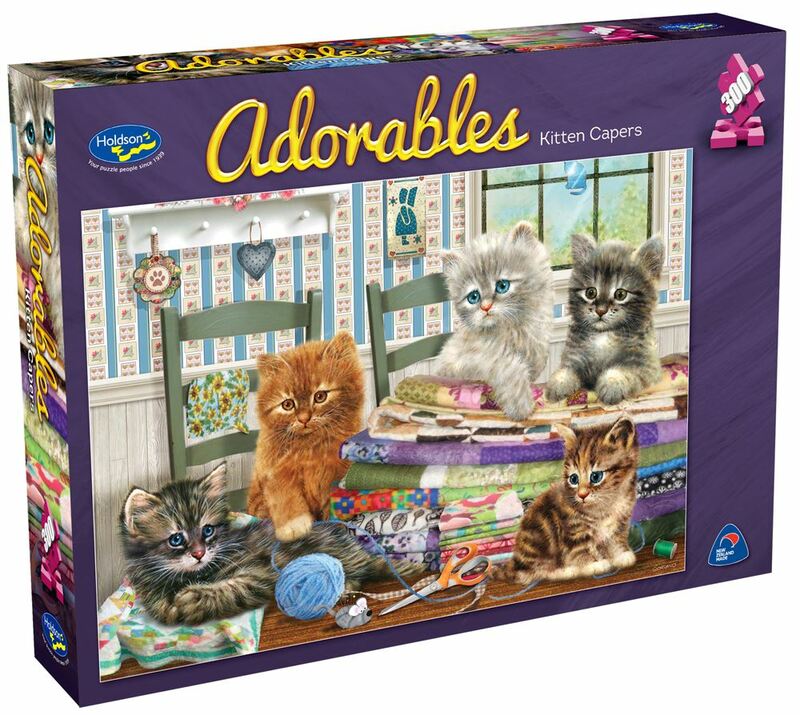 Colourful and full of playtime energy, these puzzles will warm the hearts of all animal lovers. Titles include: Kitten Capers and Playful Puppies. Each design sold separately. Collect both designs. Age 8+ years. Made in New Zealand by Holdson. Approximate puzzle dimensions: 498mm x 343mm. Box size: 270mm x 370mm.